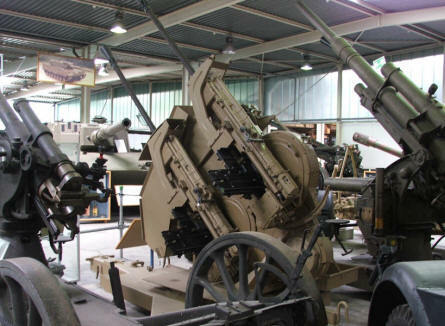 The Defence Technology Museum (Die Wehrtechnische Studiensammlung) is a collection of all kinds of German military technology since approx. 1900 until today. Here you will find many types of uniforms, hand weapons, vehicles, an old miniature submarine, tanks, canons and guns of all kinds, aircrafts, helicopters, trucks, communication equipment and many strange prototypes within military technology. 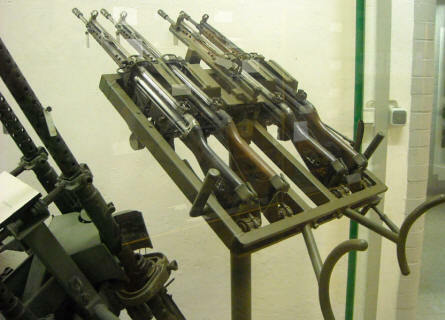 Four Heckler & Koch G3 automatic rifles in a special mounting displayed at the Defence Technology Museum in Koblenz. 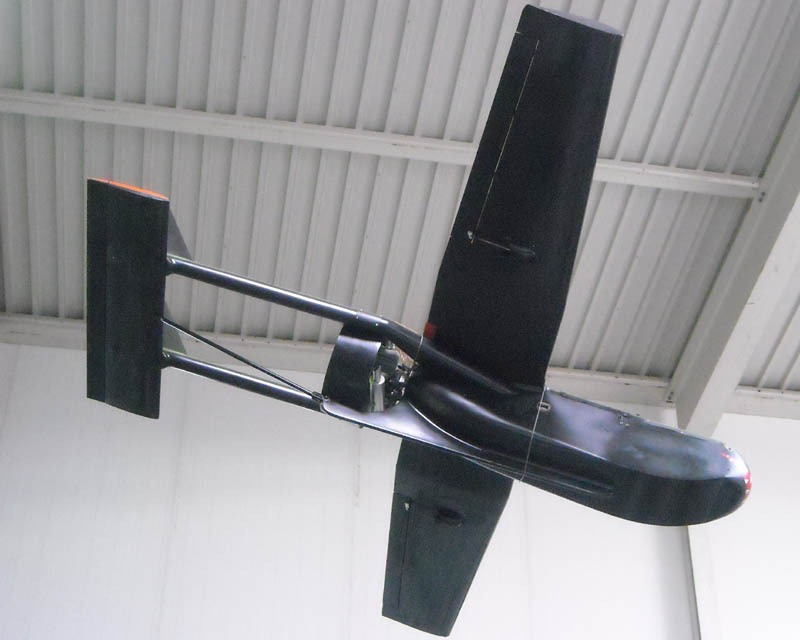 One of the many ROV's displayed at the Defence Technology Museum in Koblenz. 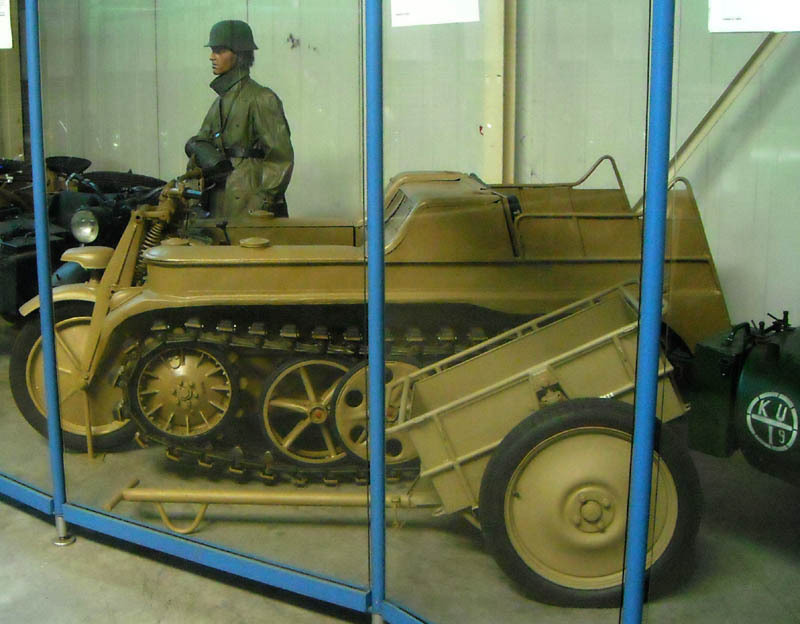 A German World War II "Kettenrad" half-tracked motorcycle displayed at the Defence Technology Museum in Koblenz. 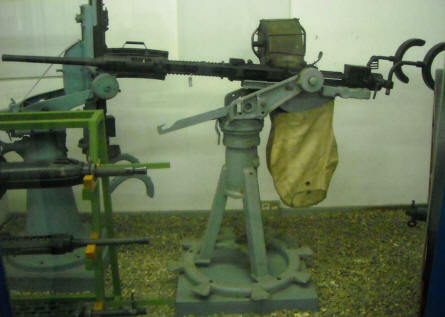 A vintage heavy maritime machine gun displayed at the Defence Technology Museum in Koblenz. Some of the many anti-aircraft guns displayed at the Defence Technology Museum in Koblenz. 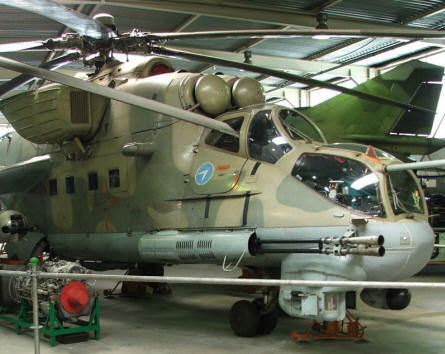 A Russian built MI-24 Hind attack helicopter displayed at the Defence Technology Museum in Koblenz.